Budding scientists joined Dr Mariya Moosajee & her research team on Saturday for an after dark exploration of London’s Science Museum for children with special education needs (SEN) and disabilities. The overnight event – SENsory Astronights – included the ‘Eye Scape’ exhibition, hosted by Dr Moosajee, Clinician-Scientist and Consultant Ophthalmologist, teaching families about how the eye develops and its genetics. 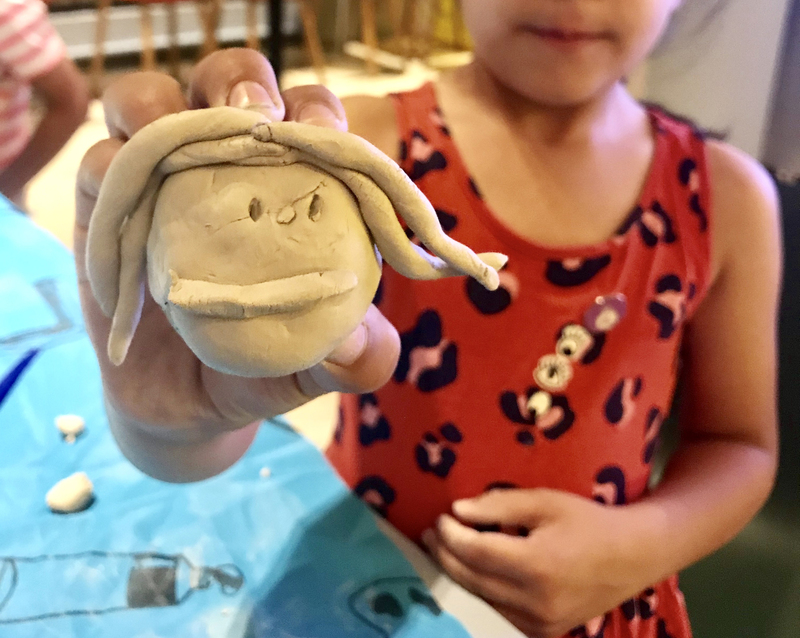 Children got involved by modelling their own eyes from clay. These pieces of art will be collected and made into a larger tactile piece for inclusion in the BlindArt collection at Moorfields Eye Hospital, where art is made accessible to all especially the visually impaired and blind. The exhibition held on August 4, supported by The National Institute for Health Research (NIHR) Biomedical Research Centre at Moorfields Eye Hospital NHS Foundation Trust and UCL Institute of Ophthalmology, encouraged children and families to understand what happens when problems occur with the development of the eye and what this can mean for people that experience these problems. “The night at the Science Museum was a wonderful opportunity for us to explain the important research we do,” said Dr Moosajee. “We are working really hard to discover, diagnose, manage and treat more rare eye conditions, especially those that are found at birth and can cause a lifetime of incurable blindness. Being able to talk to children and their families about our goals is what makes it all worthwhile. It was also a chance for me to combine my interest in art and science to give a visual and tactile aspect to the evening,” she added. SENsory Astronights gives families the chance to explore the Science Museum after dark at their own pace. With lots of opportunities to get immersed in science, families were able to choose their own adventure from meeting scientists and researchers to hands-on workshops and interactive science shows.